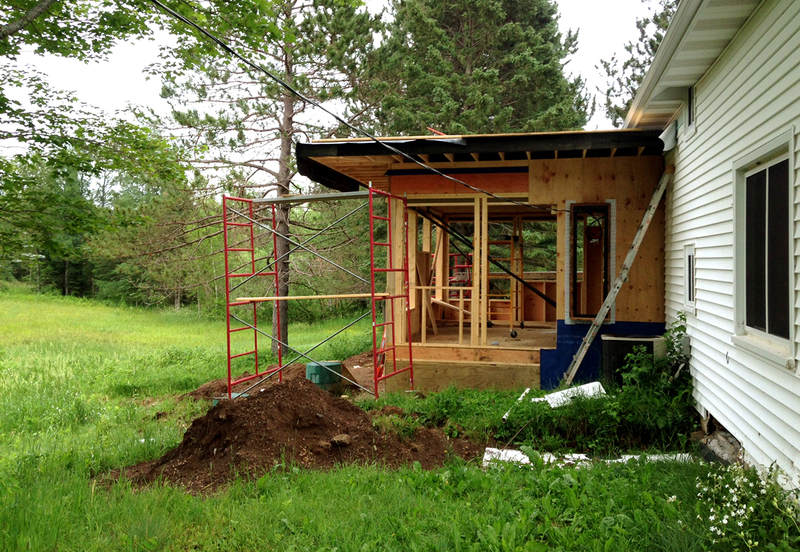 We have an exciting house addition project this summer in Gnesen Township, a lovely community north of Duluth. Polish homesteaders founded the township in 1850; and the name Gnesen came from a town in Poland – Gnesena, which means “the nesting place”. Our addition project is nestled amidst the rolling hills and dancing woods along the Lester River. Originally constructed as a barn, the structure was purchased in 1917 and transformed into a house. Once we removed the siding from the house, we found quite the surprise underneath: squared log construction! Here’s a look at the addition as it begins to take shape. 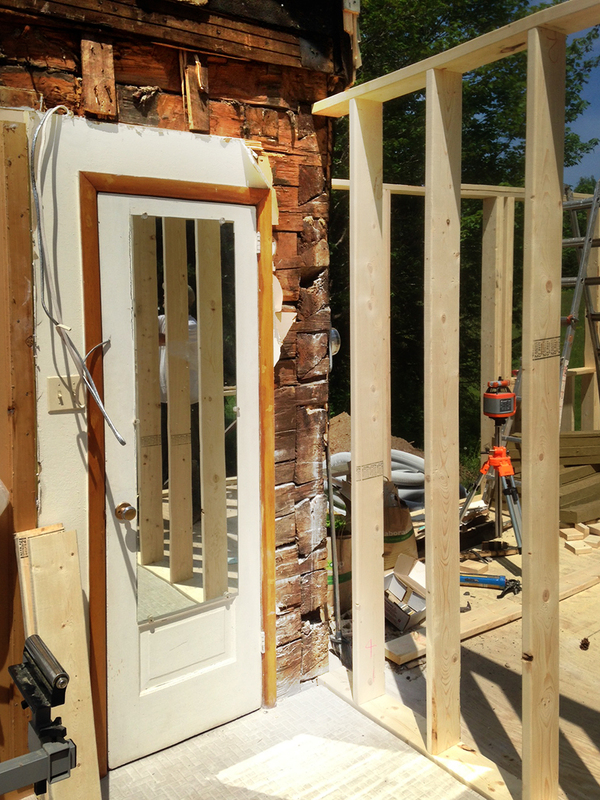 We removed the siding to reveal the original squared log construction underneath! Some log structures were made with round logs, not the squared or “hewn” variety. This is mainly because hewing the logs takes extra work; homesteaders constructed log homes quickly for shelter in the frontier. At first, Pioneer builders could pick the best logs, which were selected from older trees with minimal limbs and fairly straight lines. These logs fit together well and didn’t need to be hewn. Homesteaders built hewn log cabins or squared log cabins once a primary residence was already in place. Valued for their superior insulation through a tighter log fit, hewn log cabins also became a necessity when the first settlers used up all the ideal round logs. 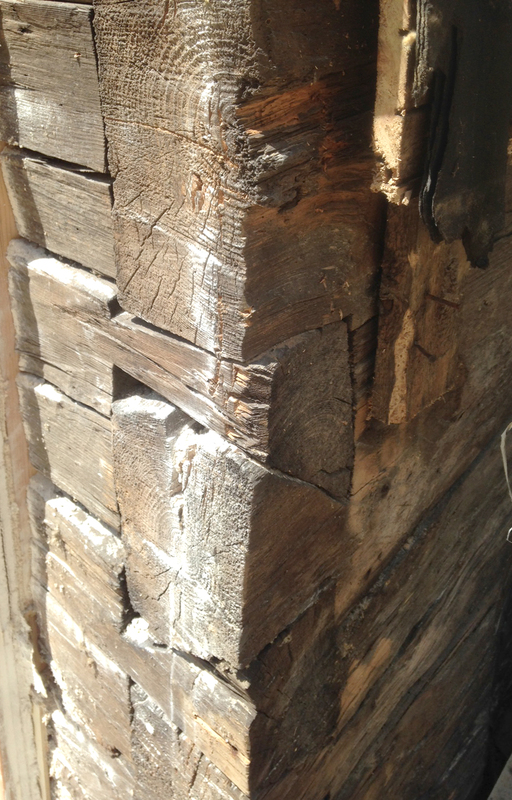 Detail of the squared logs – virtually a horizontal stack, with dovetailed notches. Round log cabins required notching and left comparatively large gaps. But hewn log structures use a nearly horizontal stack. Squared log structures are secured by having every other log extend beyond the corner, which locks the logs together with large dovetails at the corners. And here is the view from this lovely new nest in Gnesen Township! The large rectangular opening is one of the windows through which the rolling hills and dancing trees will be visible. 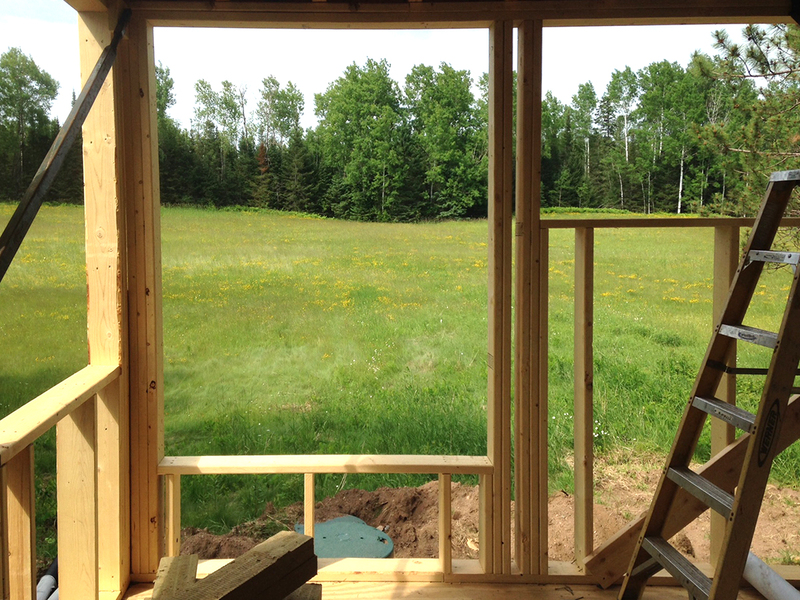 Rolling hills and dancing trees: the view from the windows of the addition. 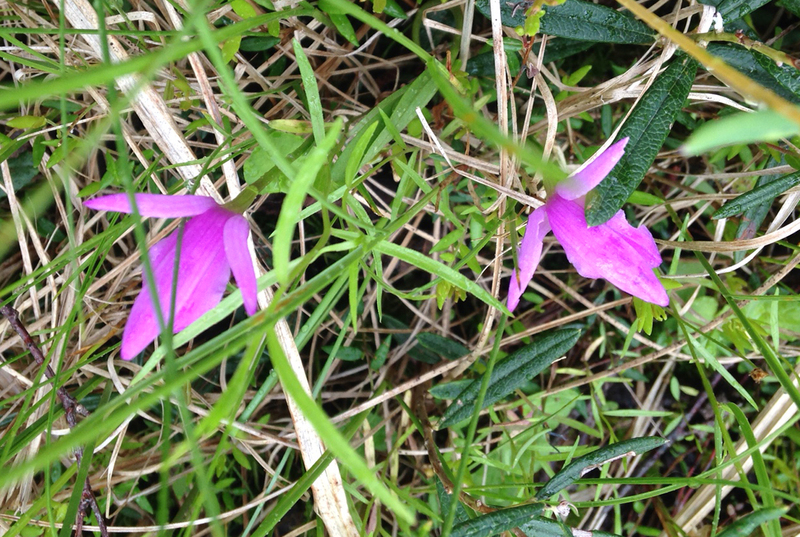 Dragon’s Mouth Orchids (Arethusa bulbosa) and bog rosemary (Andrometa polifolia) near the construction site. We look forward to sharing more as the project develops! Are you ready for an addition or remodel project? Call us at 218.722.7599 and we can discuss your dreams and ideas for your own perfect nest!